The Cage Fighter – Entertainment Ave! Then, of course, being an older fighter, he’s got health issues, as does his wife, which are playing out around him. Most of that, in itself, sounds like it is a nice movie, in the style of a “Rocky,” or one of the “Rocky” versions when he was old and washed up, only, it turns out, “The Cage Fighter” is a documentary. I’ll take the blame for not noticing “true story” in the press materials, but really, most of the release read like any other feature film, with lines like “arrives at a crossroads in his career – and life,” and “one place he finds release is in the ring.” While watching the movie it seemed weirdly shot, in that style of “Here’s a guy with a video camera pretending to film a documentary, only it’s a movie.”, except this time it was documentary, complete with shaky camera movements, oddly cropped scenes, and audio that wasn’t always the greatest. After this revelation, at first, I felt like a moron, but I got over it, and suddenly everything about the film made sense. I understood the goodness in showing a true story, one that would be hard-pressed to have as good a screenplay in the same manner. So, at first this movie was heading for 2 stars out of 5, namely because even though the story was great, the cinematography and audio was so iffy I couldn’t believe it. Now, though, knowing it really basically was, some dude shooting the real life of Joe Carman, it made so much more sense, and I was able to get past the shaky video and iffy audio. Still not the greatest, but it many so much more sense I ended up rethinking things, and I’m giving it 4 stars out of 5. 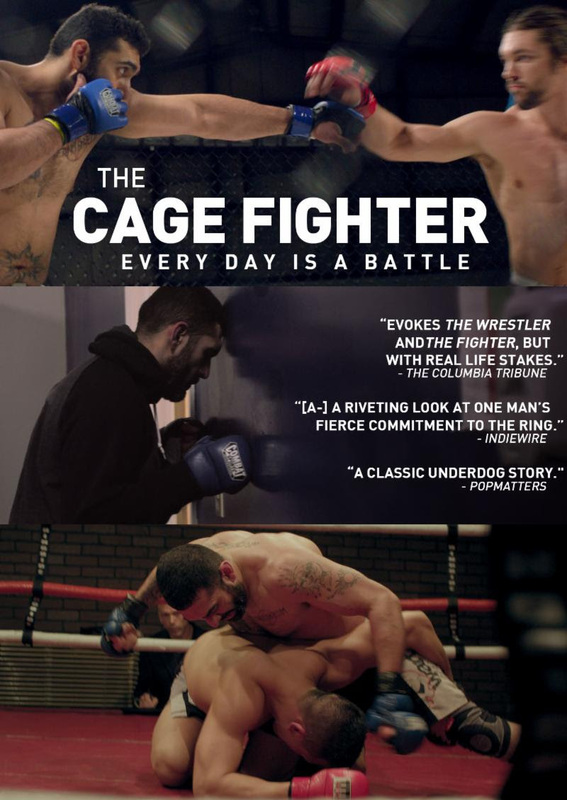 “The Cage Fighter” is a documentary that plays like a movie, and a movie that plays like a documentary. Enjoy both aspects, and you’ll most likely enjoy the movie, I mean documentary.